When looking for the perfect stone for any landscaping project, basalt columns and boulders are the perfect choice. Holes can be drilled allowing for water features and bottoms can be sawn for easily installing. Columns are an artistic, durable, and beautiful product. Basalt is a volcanic rock that is used for a variety of construction and decorating needs. 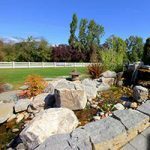 If you’re looking to redesign a yard or garden, or even enhance an existing one, basalt columns and boulders are an excellent choice. 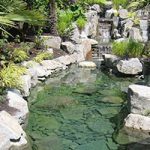 They could be placed in a garden or yard as artistic structures to enhance the landscaping, or holes can be drilled through the stone to facilitate the creation of a beautiful water feature. As well, the bottoms are able to be sawn for easy installation. They make for an artistic, unique, durable, and easily maintained product. Black Tusk basalt exterior columns are decorative landscaping stones that are used to add a unique beauty to any garden, yard, or landscaping project. They may be used as edging stones for garden accents and retaining walls or used to create exquisite customized water features. Regardless of the type of water feature that you choose to construct, stone is the natural choice for adding both durability and elegance. Not only is it an amazingly resilient and heavy-duty product, it projects such a magnificent beauty that it has the ability to convert a dull or unappealing area into a breathtaking vision. Black Tusk basalt exterior columns are available in dimensions of 18 to 36 inches in diameter and 24 inches in length. They have a weight of 190lbs (86.2 kg) per cubic foot. Similar to the Black Tusk variety, Whistler Basalt columns make a wonderful choice for decorative stones. 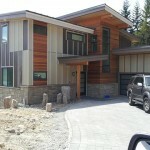 Whistler Basalt is quarried in Whistler, British Columbia and is sold exclusively by Bedrock Natural Stone. By incorporating columns or boulders into your landscaping and decorating projects, any area has the ability to be transformed into an alluring setting that you’ll be sure to admire for years to come. 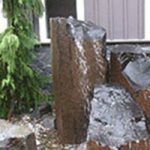 Whistler Basalt columns are available in dimensions of 12 to 36 inches in diameter and 12 to 48 inches and larger in length, with a weight of 158lbs per cubic foot. Depending on your specific needs and interests, both varieties will certainly add value and appeal to your home. Using decorative stone is an easy way to enhance an area, while requiring little to no maintenance. It’s easier than you think to create the space that you’ve always dreamed of.